Today was a long drive day with thunder storms this afternoon and evening. I left the casino just west of Albuquerque, NM early this am and drove to a Pillot/Flying-J service station for gas and a shower. Then it was on the road for hundreds of miles. 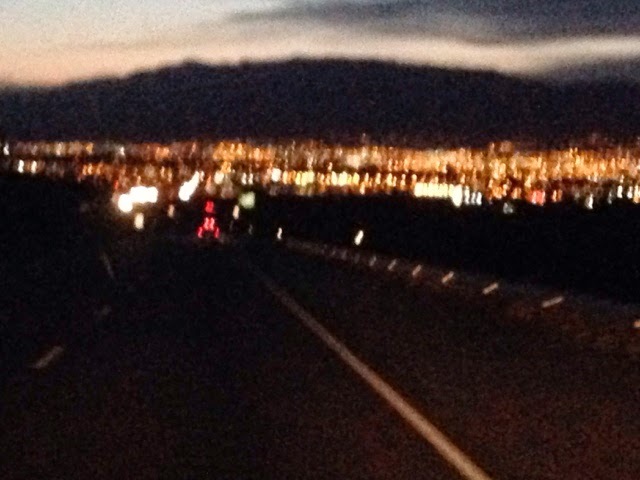 Albuquerque in the valley ahead as I come into it on I40. 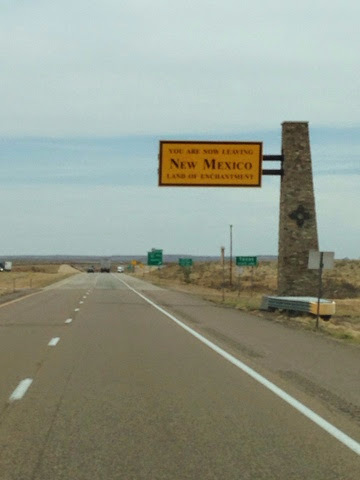 After some time I was leaving New Mexico for Texas. Welcome to Texas. 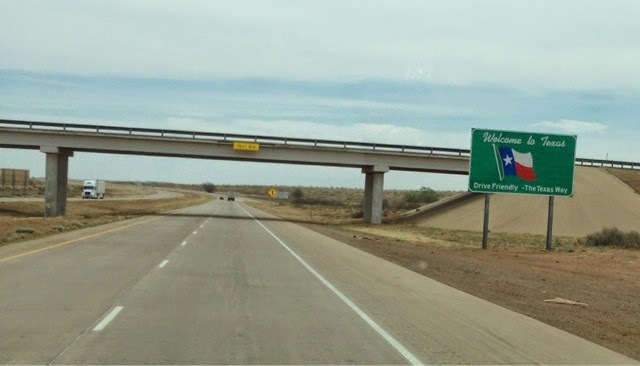 Crossing the Texas Panhandle doesn't take nearly as long as on I10 on the way west. I stopped in Amarillo for lunch, which is about half way across the panhandle. 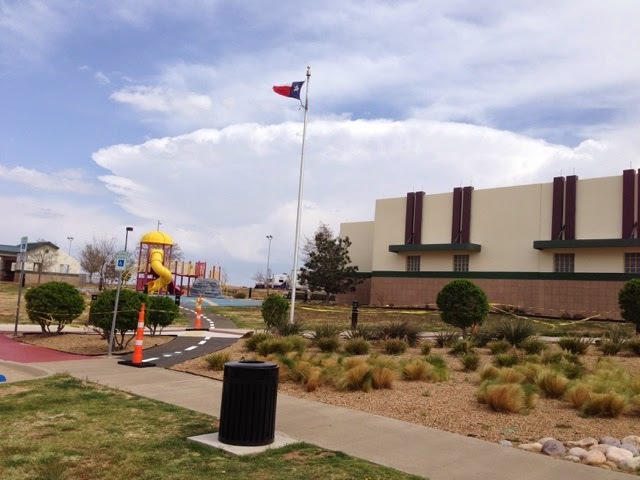 Awhile after leaving Amarillo storm clouds were blooming and I stopped at a rest area. 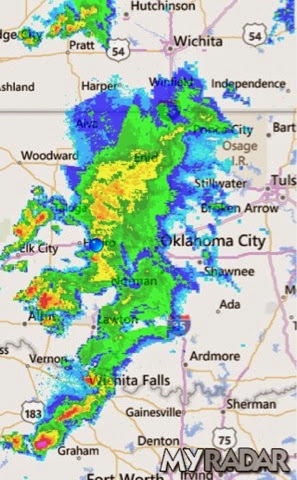 I checked the radar and National Weather Service website and although some storms could be strong the only consern was driving in heavy rain. Picture of storm clouds from rest area. 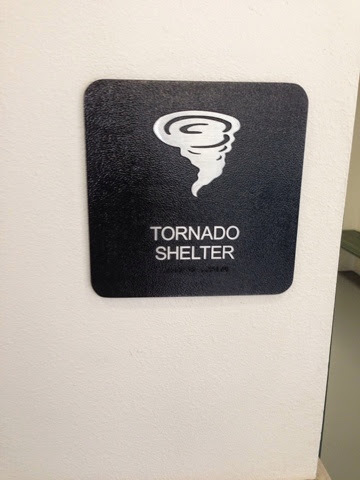 The rest area had a tornado shelter. Luckily I wasn't going to need it. After waiting for awhile I saw a potential of cutting through the north / south line of storms to continue my easterly travel. Although I did get just a little rain the overrunning clouds kept it dark. 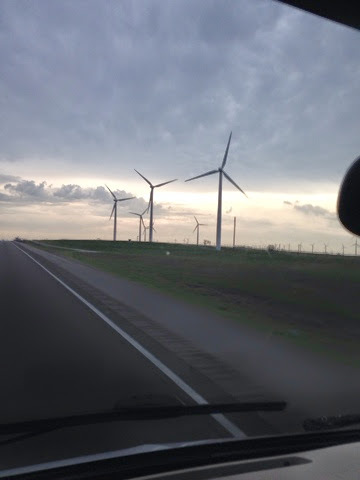 When I stopped for the night at a casino just west of Oaklahoma City the line if storms caught up and we had some gusty wind and heavy rain. I'm where the blue dot is. I went into the casino with $5.00 to spend and with $3.00 gone I went to a penny slot machine and could not loose the $2.00. Finally after a long time and being tired I risked more and won more and walked out with $10.00.